Come out and compete at the 2011 Florida Senior Games Pickleball State Championships on December 3 - 5, 2011 at Kelly Recreation Center in Lakeland. 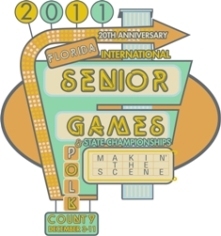 Get ahead of the game by registering online at www.flasports.com. REGISTER TODAY BEFORE THE DEADLINE BY CLICKING ON THE LINK BELOW! Click the link below to book your room today or call Global JBS Destination Solutions toll-free at 866-922-0020. Don't miss out on these incredibly low rates reserved just for you! We look forward to seeing you at the Games!